Rachakonda Police Commissioner Mahesh M Bhagwat, who was in the stadium interacted with the children and expressed his happiness. 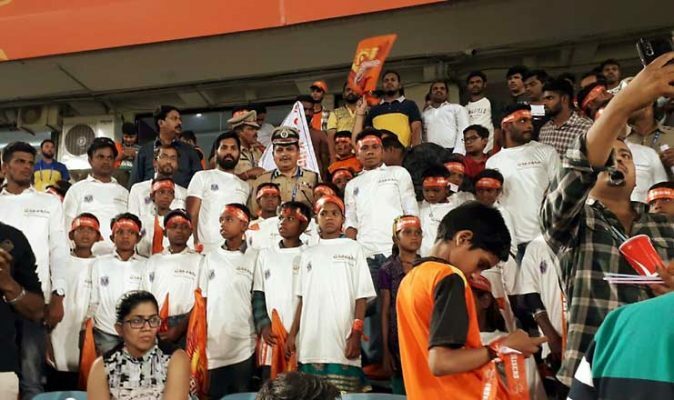 Rachakonda Police Commissioner Mahesh M Bhagwat, along with the underprivileged children, watching the IPL match at the Uppal stadium. 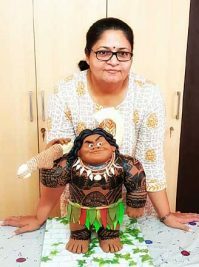 Hyderabad: It is not an everyday thing that underprivileged children, whose parents are labourers, and those with hearing impairment get to watch the Indian Premiere League (IPL) live in a cricket stadium. But it did happen, when about 80 children watched the match live at the Rajiv Gandhi International Cricket Stadium at Uppal here on Sunday night. About 50 children of migrant labourers from Odisha and working in the brick kilns in Rachakonda along with their teachers and 30 children from Ashray Akruthi School for the Hearing Impaired were allowed to watch the match between SunRisers Hyderabad and Delhi Capitals at the RGI stadium. Rachakonda Police Commissioner Mahesh M Bhagwat, who was in the stadium interacted with the children and expressed his happiness. “This gesture will definitely help in bridging gap and create a positive thought in the minds of children towards society,” he said. Bhagwat said the IPL has a huge audience including the children in the country but then, there are also children who are underprivileged and only can only dream about it. “Most of these children also wished to be in the stadium and watch the match live like others. We thought why not they be taken to the stadium and give them the experience,” he said. It was done symbolically. 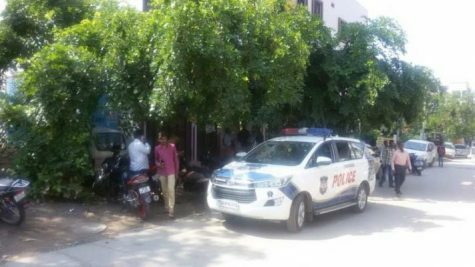 Of the five brick kilns schools being run in the Rachakonda Police Commissionerate, where about 1,000 students are studying, 50 students were taken to watch the IPL match live. “They were exposed to this atmosphere which they could not dream of or were able to watch only on the television at homes or in the neighbourhood,” the Commissioner said, adding that they intend to carry forward such activities and take children to the stadium whenever possible.